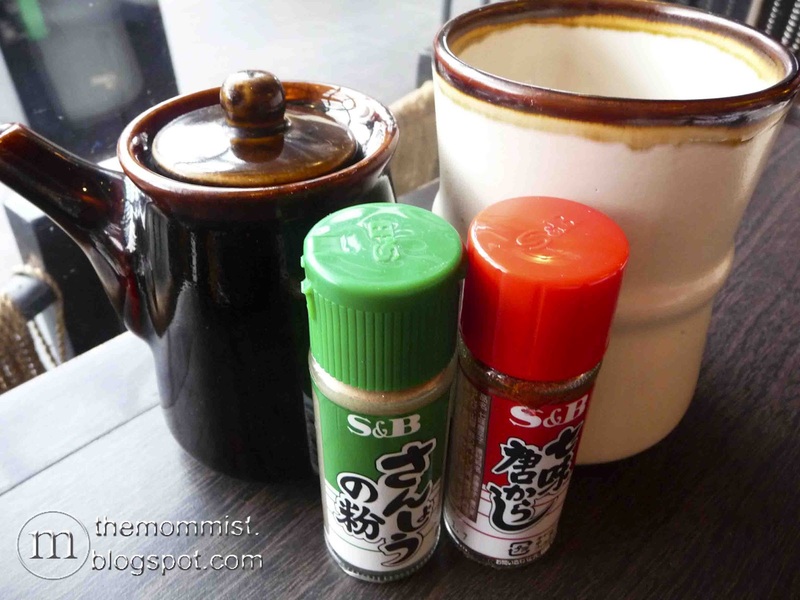 The information mentioned above is actually one of my justifications for eating too much yakitori (alternately termed kushiyaki or small grilled meats). 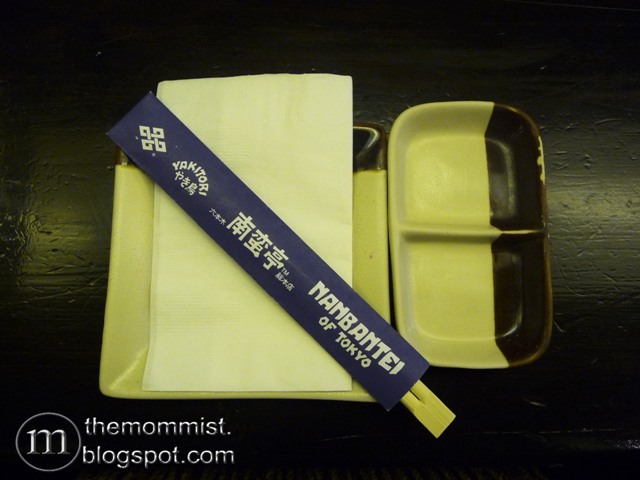 One of our favorite places to get good yakitori is at Nanbantei of Tokyo. Although we have been frequent customers of this Japanese restaurant even when they were still located along Jupiter St. back in the late 90's, we haven't visited the said restaurant for more than three months! 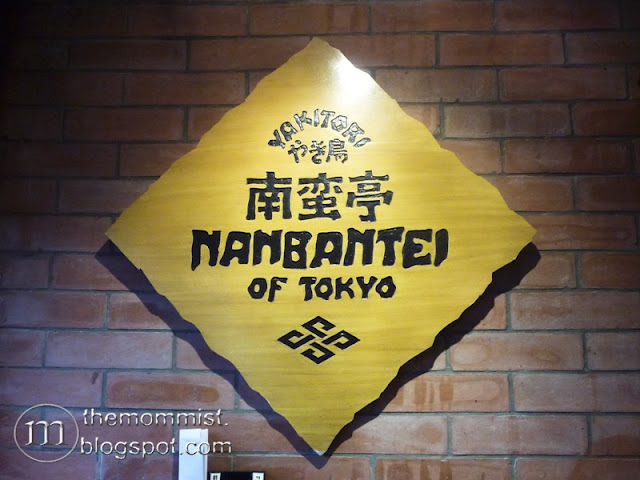 So yesterday, we decided to have lunch at their Greenbelt 3 branch and taste the goodness that is distinctly Nanbantei once again. 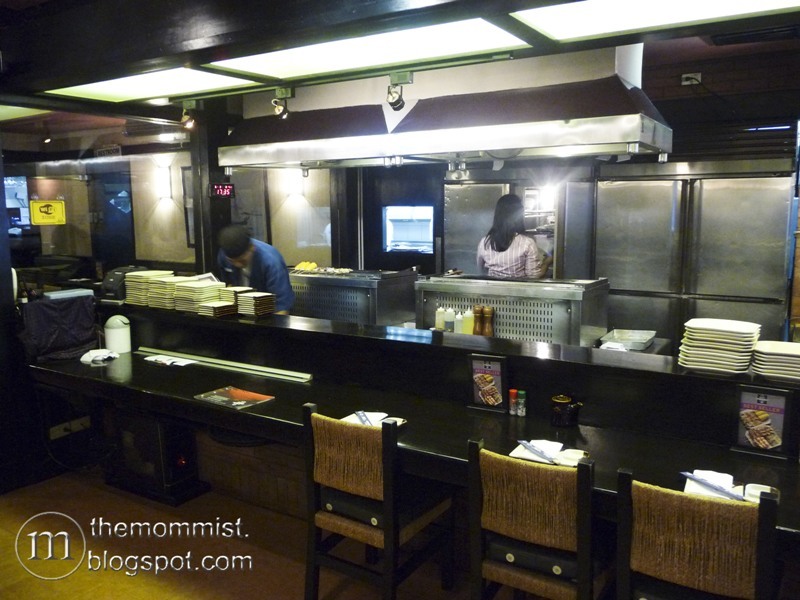 Upon entering, the first noticeable area is the grilling station. The place is modest and needs a bit of sprucing up. 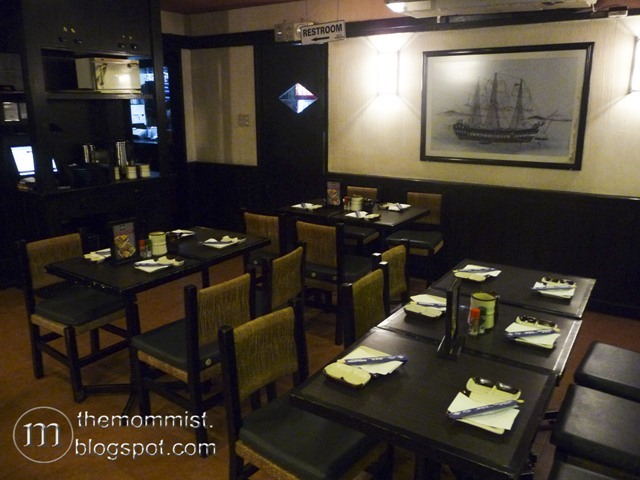 Well, we don't come here for the decors plus the great food makes up well for the plain interiors. Japanese spices - Sansho (green) and Ichimi (red) - and a soy sauce pot are present on every table as well as a container for yakitori sticks. I love sprinkling my grilled meats with Ichimi! Oftentimes I put too much but what the heck, we only live once. 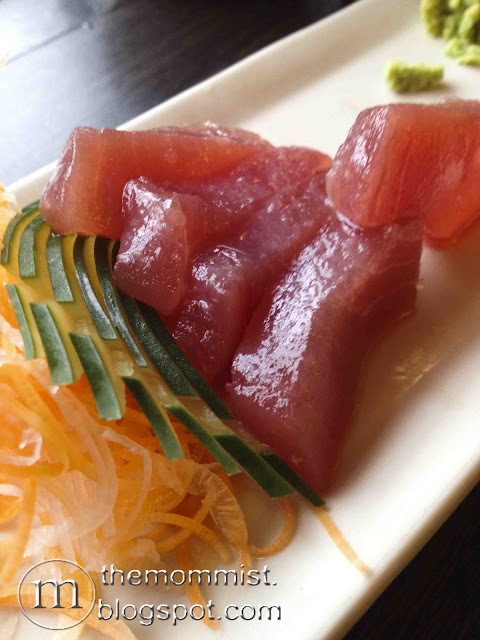 Glistening in all its fresher than fresh glory are these Maguro (tuna) sashimi. The rich red color screams good quality. Firm flesh but buttery soft once bitten. Be still my heart. 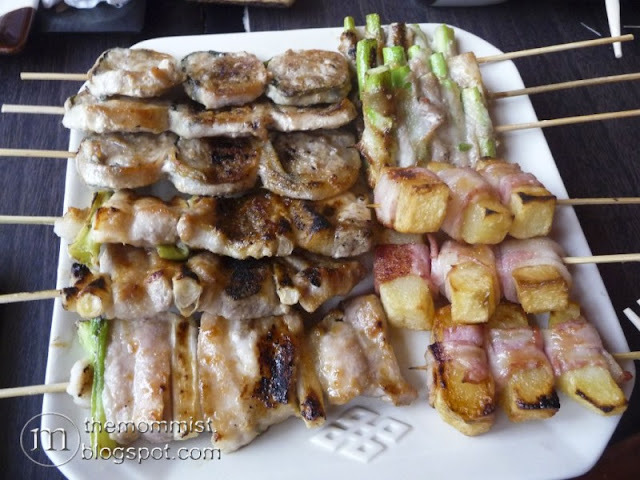 We ordered the Best Sellers which has a total of 21 glorious grilled skewers (three sticks each of their popular kushiyaki - Aspara Maki, Tebasaki, Pork Garlic Yaki, Shiso Maki, Negima, Corn, and Potato Maki). It's hard to play favorites with these 'coz all are good! Everything's grilled to perfection. 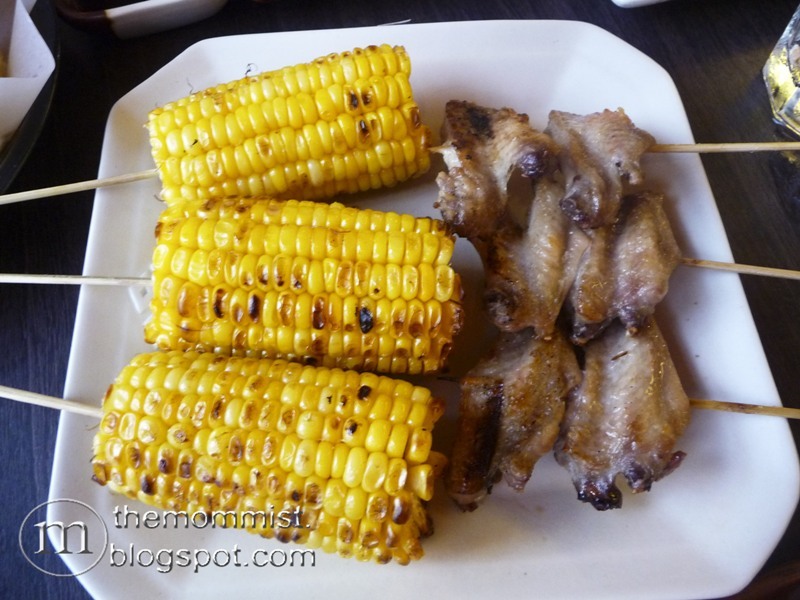 Charring is kept to a bare minimum and the meat has retained all its juices and flavor. Sooo goood! Crispy on the outside but juicy and tender inside with good coating best describes these Ebi Tempura. 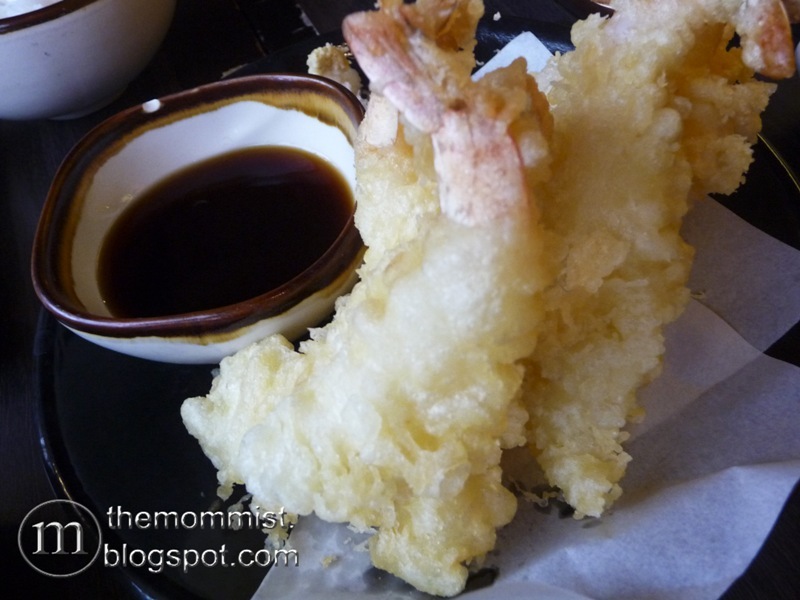 Goes very well with the delicious tentsuyu (dipping sauce). I'm gonna come clean now. 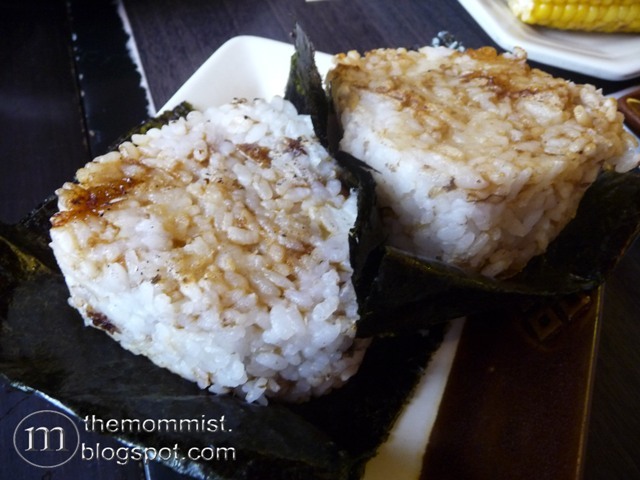 It took years before I tried these Yaki Onigiri because they somehow resemble machang in appearance and I don't like those. These has become a favorite eversince that day I had the courage to take my first bite. 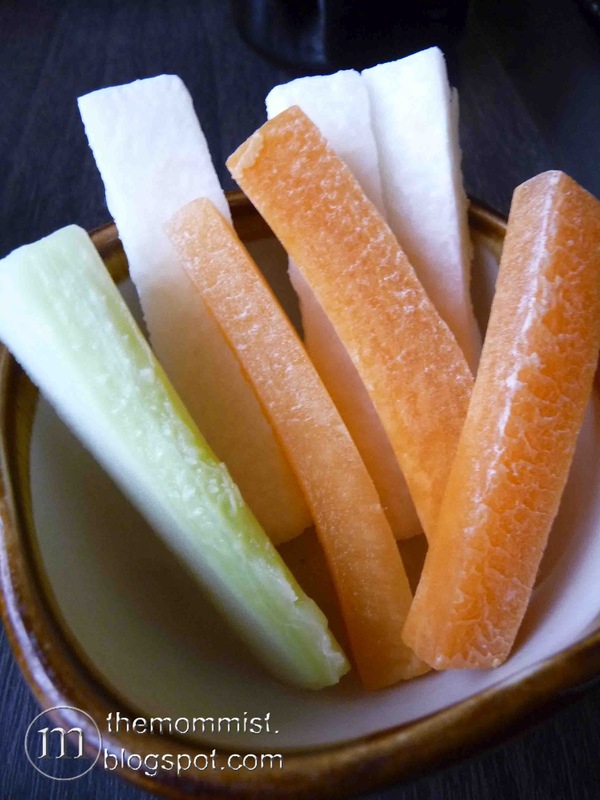 I actually prefer these over plain Gohan when eating kushiyaki. Nanbantei has an ample selection of fruit shakes and juices. My two boys chose the deliciously refreshing watermelon shakes from their list. We'll never get tired of this restaurant. We'll keep coming back no matter how many months the interval is. 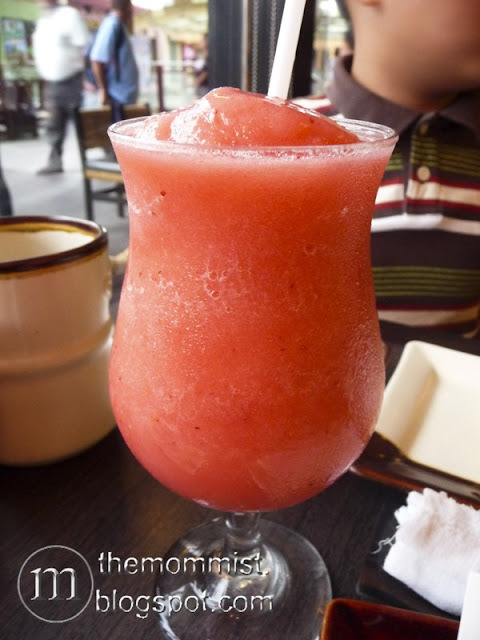 Excited to visit their Bonifacio High Street Central branch soon!